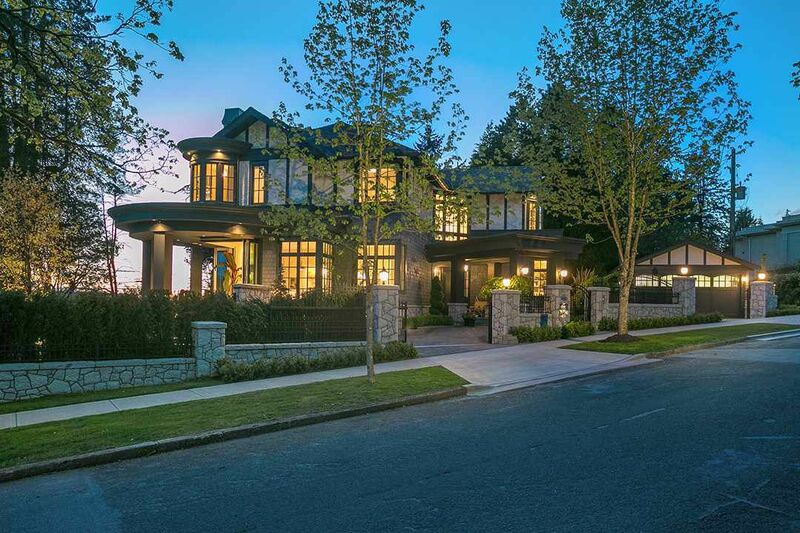 LUXURIOUS NEW CUSTOM SHAUGHNESSY MASTERPIECE DESIGNED BY EDG HOMES. Timeless Tudor Manor Showcases Exceptional Design with Modern Interiors. The Perfect Blend for Elegant Entertaining & Enjoyable Family Living! Phenomenal Spaces Capture Natural Light from all Directions. Soaring Ceiling Heights, Oversized Windows & Dramatic Two-Storey Entrance Vestibule. Impressive Living & Dining Areas, Open Chefs Kitch, Butlers Pantry, E/A, Large Island. Adjoining Family Rm has Glass Wall that Opens Onto Spectacular Private Grounds,Sun Drenched Pool,Waterfall,Outdoor Dining/Kitch. Upstairs has Library,4 Bdrms & Stylish Master has WIC & VIEW BALCONY! EXCITING Lower Level Provides Theatre,Wine Cellar, Sports Bar,Games Rm, 2 Bdrms. A WORLD CLASS HOME & NEIGHBORHOOD CREATES THE ULTIMATE LIFESTYLE EXPERIENCE!